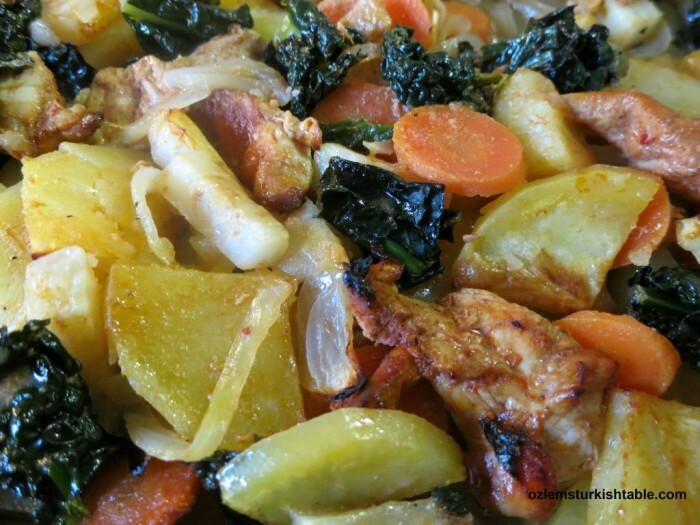 An easy, wholesome and delicious all in one pot chicken and vegetables bake with pomegranate molasses and lemon sauce, inspired by the Agean region's Eksili Tavuk. Celeriac especially here really worked well with the sweet & savory pomegranate molasses; a wonderful dish we loved and will be revisiting often. Afiyet Olsun!